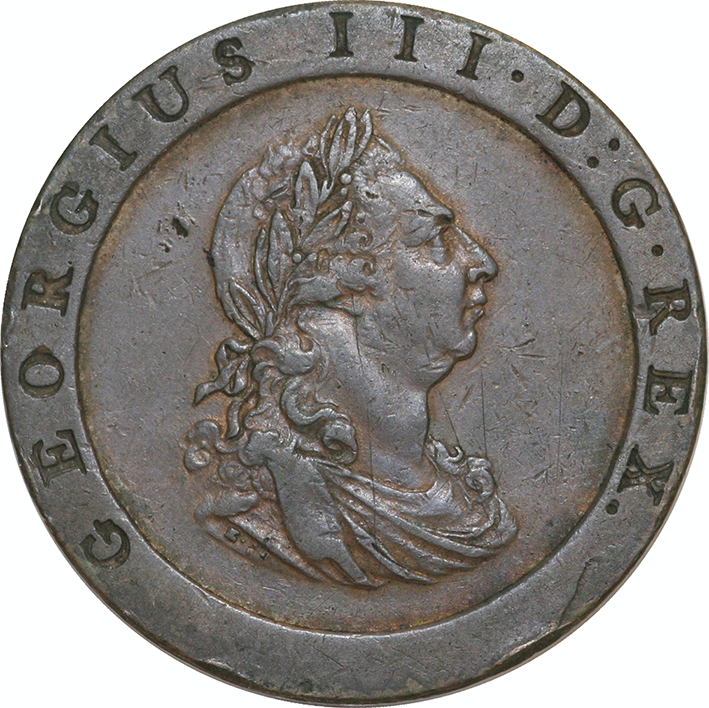 In 1797 coinage was short and the government took measures to increase availability. James Watt and Michael Boulton won a contract from the government to strike the copper coinage at the Soho Mint in Birmingham. This is the heaviest coin Britain has ever produced! With a value of just twopence you can see why the idea did not take off. 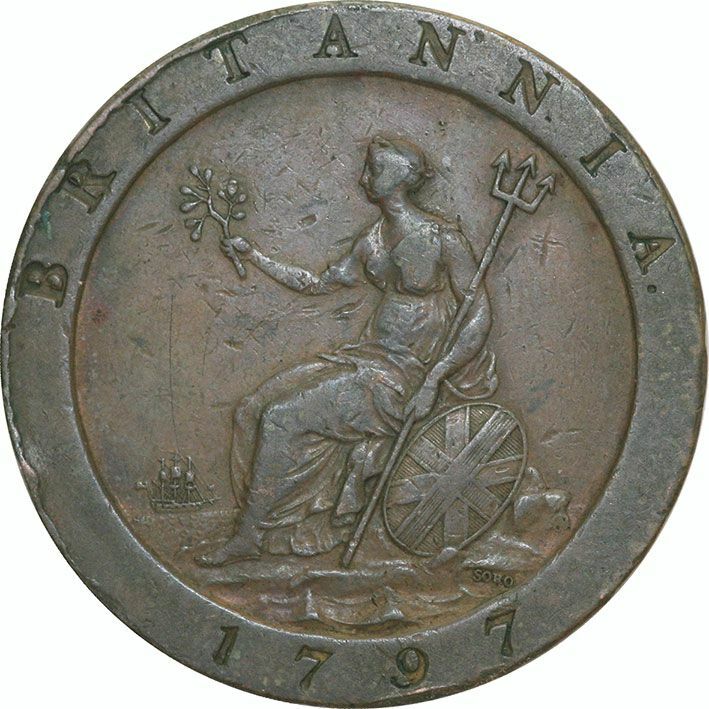 The weight, together with the fact that the metal content of this coin was worth more than the face value meant it was only minted for the year of 1797. Coins are in VF condition.